Probate is the legal process that is commonly required following the death of an individual. If you are involved in the probate of the estate of a family member or loved one in the Beverly, Massachusetts area, you may find it difficult to concentrate on the legalities involved in probating an estate while you are still grieving the loss of your loved one. Consequently, you will likely find yourself in need of helpful, reliable, and trustworthy community resources. Because we understand how frustrating it can be trying to locate those resources while your emotions are still heightened, we have put some together for you. We hope the following community resources can help you find much needed services, advice, and support. It is always good to have non-emergency contact information handy for local law enforcement agencies. In addition, you might need a copy of a police report or other related information. The Beverly, Massachusetts Police Department has jurisdiction within the city limits while the Essex County Sheriff’s Department handles calls outside the city limits. If you were appointed the Executor of the estate of the decedent, or you volunteered to be the Personal Representative in the event that the decedent died intestate (without a Last Will and Testament) you will be responsible for overseeing the probate process from start to finish. Typically, the probate of the estate is opened in the county in which the decedent was a resident at the time of death. For a decedent who lived in Beverly, probate would be opened in the Essex County Probate and Family Court. On the court’s website, you will find the court’s address, frequently used telephone numbers, and even information on parking. The Massachusetts court system also has a Self-Help website where you will find help with “Court Basics” along with information on “Wills and Estates.” If you are looking for a specific court form, you may be able to find it in the Court Forms section as well. Tackling the probate process without the assistance of an attorney is not recommended, particularly if the estate requires formal probate. Take some time to read through the questions and answers in the “Representing Yourself in a Civil Case” section of the court system’s website before you decide how to proceed. If you find yourself responsible for probating an estate, you will likely need help. While it is possible to serve as the Executor of an estate without retaining the services of an experienced attorney, it is not recommended given the complexities of the probate process. One place to turn for help is the American Academy of Estate Planning Attorneys (AAEPA). The AAEPA is a national organization of attorneys who have chosen to focus their practice on legal issues related to wills, trusts, and estates. Membership in the AAEPA signifies that an attorney has proven experience in the areas of estate planning and/or elder law. The AAEPA can help you find the right attorney to help you through the probate process. The American Bar Association (ABA) also has a “Frequently Asked Questions” that can answer some of your basic questions about the probate process. You might also want to check out the Massachusetts Bar Association’s (MassBar) Lawyer Referral Service if you have decided to retain an attorney to represent you during the probate of the estate. All estates are potentially subject to federal gift and estate taxes; however, each taxpayer is also entitled to exempt up to the current lifetime exemption amount ($5.45 million for 2016). The “Estate Tax” page for the Internal Revenue Service may be able to provide you with additional information as will the “Frequently Asked Questions on Estate Taxes.” The Commonwealth of Massachusetts is also one of a handful of states that impose a state level estate tax. To find out more about the Massachusetts estate tax, check out the “Guide to Estate Taxes” found on the Department of Revenue’s website. Probating even a simple estate requires a considerable amount of time and attention. You will find that you need various documents and records to probate the estate, starting with a certified copy of the decedent’s Death Certificate which can be obtained from the Commonwealth of Massachusetts Department of Health and Human Services. You will also need to publish the notice of probate to ensure that creditors are aware that the process is underway. Try the Salem News, a local newspaper that has a “public notices” section. If you are unsure what real property the decedent owned, you may wish to conduct a search. For a local search, you may wish to start with the Southern Essex District Registry of Deeds. 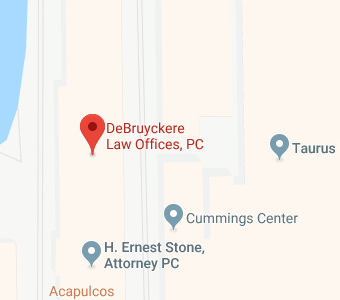 If you have additional questions about probate law legal matters, or you wish to retain an experienced probate attorney to assist you throughout the probate of an estate, contact the experienced Massachusetts probate law attorneys at DeBruyckere Law Offices by calling (978) 969-0331 to schedule an appointment.